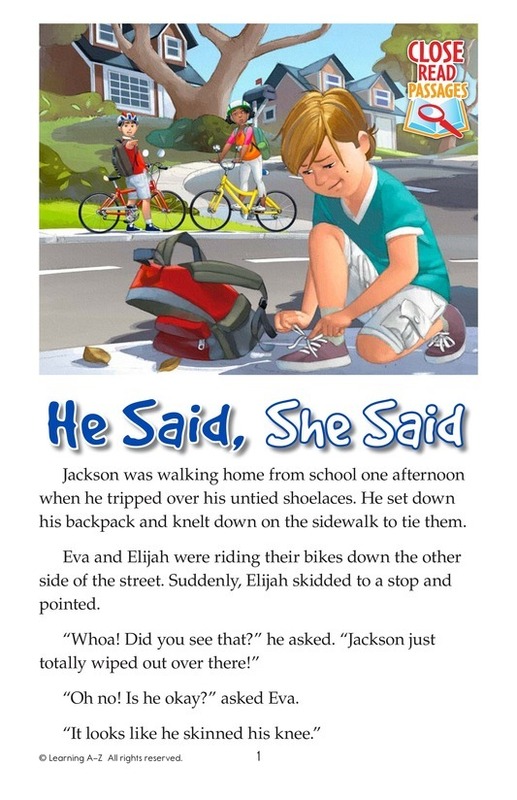 Jackson trips over his shoelaces while walking home from school one afternoon. 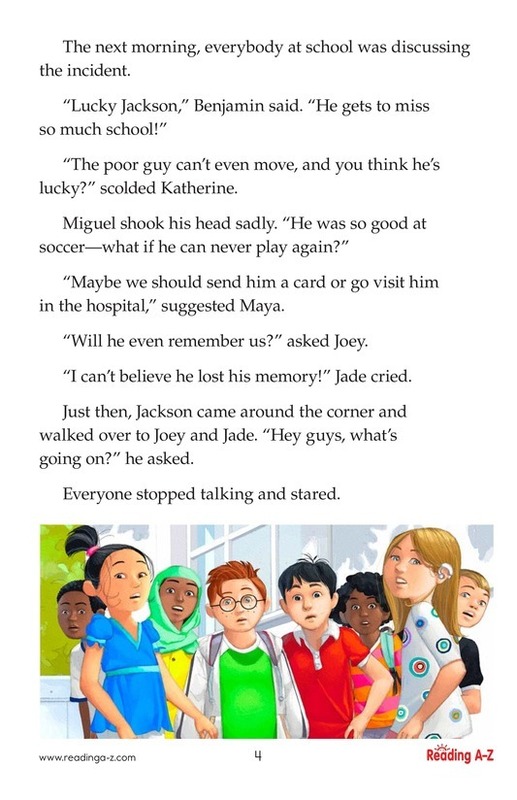 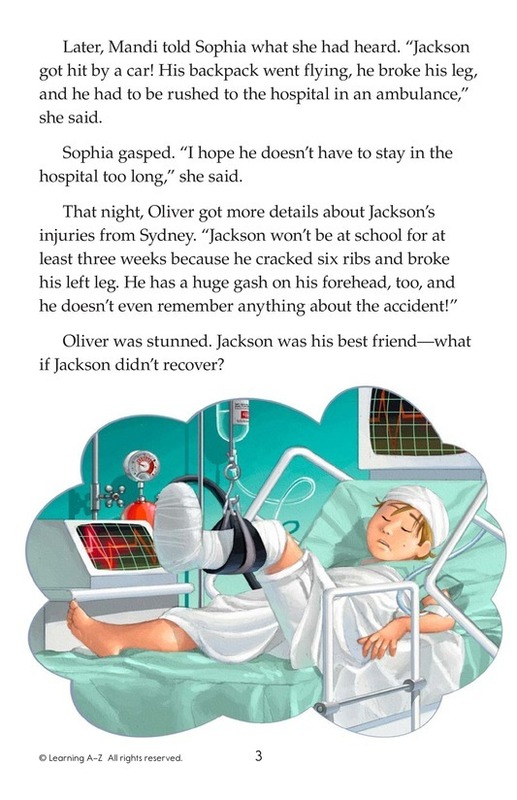 Another student sees him, and a story about Jackson's accident quickly begins to spread to all of their classmates. 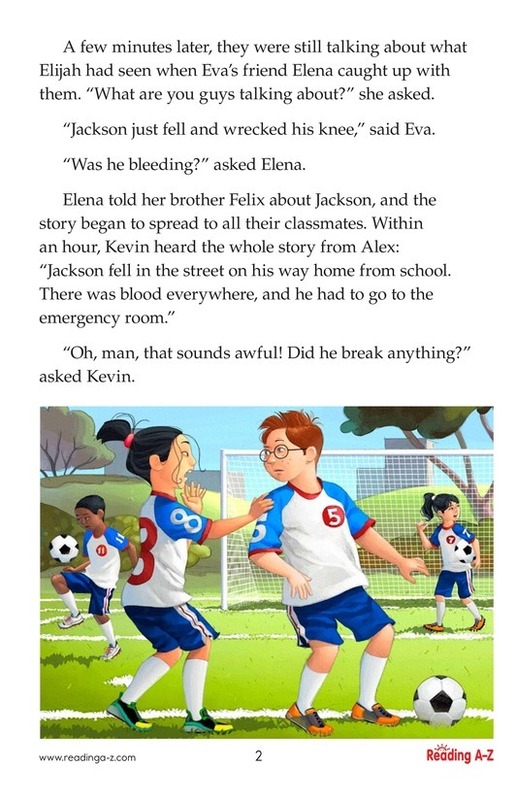 This humorous story shows how stories can change in their retellings.